There are many Ad networks which are doing well in the online ad space and TrafficJunky is one among them. In this TrafficJunky Review, we will discuss is it a legit ad network to work with? When I say a legit ad network, I mean to say that the network should be genuine, should have good advertiser & publisher based. They should also pay to the publisher on time and provide value to their customers. In this TrafficJunky Review, we will talk about both TrafficJunky Publisher and TrafficJunky Advertiser account. It will also include the requirement to join the network and estimated earning you can make as a publisher. I just want to mention here is, TrafficJunky is an adult ad network and so you should know before joining it. Let’s start with TrafficJunky Ad Review! TrafficJunky Inc. is a private holding company started from Quebec Canada in 2008. They are one of the oldest adult ad networks in the market serving different geographic location. 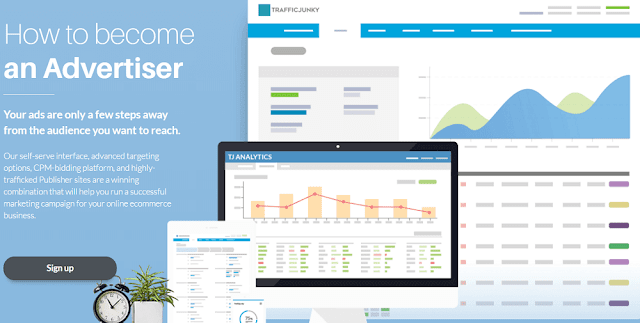 TrafficJunky is the leading online Ad Network that offers Advertisers large volumes of the quality web, mobile and tablet traffic & helps Publishers maximize their online inventory revenue. Should you join TrafficJunky or not? As said earlier, TrafficJunky is a leading ad network since years and provides the top solutions to their advertisers and publishers. Here are some of the unique benefits those you’ll get with TrafficJunky ad network. TrafficJunky is a technology-enabled platform and uses the cutting-edge technologies to provide the best solution. TrafficJunky provides referral commission to their advertisers. If you have joined TrafficJunky as an advertiser and referring any people who spend some amount then you will get 10% of it. The only gray part is, there is no referral program for publishers. Advertisements for any company or individuals are the core area of growth. A single mistake you do and you may lose millions. To avoid such scenarios, TrafficJunky provides great security to your advertising account so that none can access apart from you. If there will be any change made to your profile or campaign, you’ll immediately receive SMS and emails. By seeing these options, it seems TrafficJunky is a leading adult ad network and if you’re targeting such traffic, you should join. TrafficJunky works very smoothly and if you want to join their publisher network, here is a three-step simple process. Just add your website, create the ad spots and integrate the code. That’s all and you’re done. They have a simple reviewing process of application and any website owner can apply to the network. TrafficJunky publisher network is called as TrafficJunky Run of the network. Ad Spots: They have almost all kind of ads available making it easy for you to monetize your website. Also, you’ll have access to all the ads those their premium customers use. Statistics: From the publisher dashboard, you can find all the stats related to your websites, ads and individual ad slots. This will help you to improve your campaigns. Here are some of the other benefits of being a publisher of TrafficJunky. Payment: You can be paid through many payment options including PayPal, Wire Transfer, etc. The threshold is USD 100 and payment is done on every Wednesday. The threshold is a limit is high but if you have huge traffic, you can get it easily. If you are an advertiser and would like to start with the TrafficJunky network, you just should follow few simple steps and you’ll be live. Once you’ve signed for the advertiser account, follow the below steps and you’re done. Define your audience by targeting a niche market with our keyword selection feature and choose additional settings such as time targeting and frequency capping in order to get the most out of your marketing campaigns. You should upload the graphics/banners along with your ads to perform it better. Depending on the size you are targeting, you should get the banner. The next option is to select the websites where you want to show your ads. Once you’ve done that, you can select the ad location where your ad needs to be shown. Once your campaign is live, it’s time to optimize it. Work on the ROI, take help of TrafficJunky account manager and optimize your campaigns for the best result. 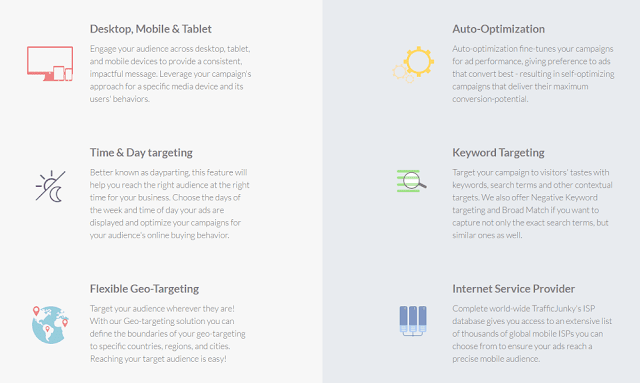 Here are the different targeting options available with the TrafficJunky advertiser network. As of 2016, the global mobile ad serving has been valued at $101 Billion and so you can think of the size of the market. With this size, it is necessary for you to get what you can for your business. TrafficJunky provides mobile advertising solutions as well through which you can target mobile users. 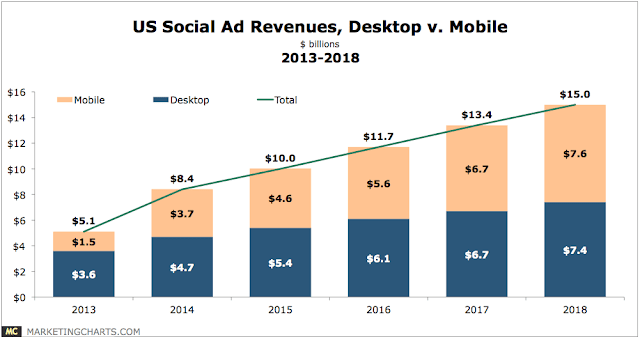 If you will see the below chart of mobile ad vs desktop ad spending, you will find just a slight difference in US market. This shows how quickly mobile ad is growing. 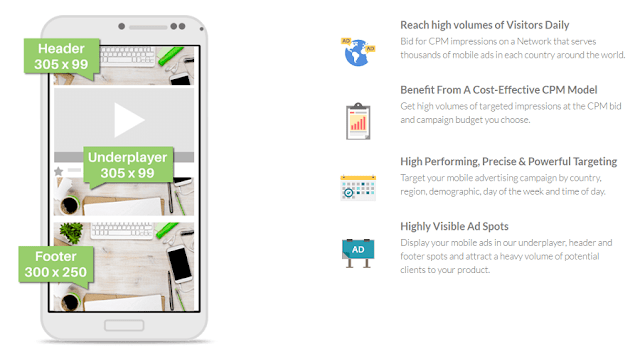 There are numerous of benefits of using mobile ads and some of those are as below. This was all about TrafficJunky Review. I hope you got a fair idea about this advertisement network. If you are targeting adult traffic or promoting general offers, such traffic can be convertible for you. And so, you can join and check how this ad networks performing for you. You can signup for the ad network and try the ads. If you have worked with TrafficJunky earlier, you are highly welcomed to share the TrafficJunky review.